This one should be pretty simple, but figure I would add it here for posterity’s sake. I wanted to setup a real time Value List of all the call types, then break down my Value List into smaller Collections for each specific type of call type. First step is to log in to CUIC and got to Value Lists and click on Create. Validate your query and save. Second, click on your Value List and click on Collections. Notice the Collection Type of Wildcard which allows your create a wildcard which references all your call types. This could be French* or CustomerService*. 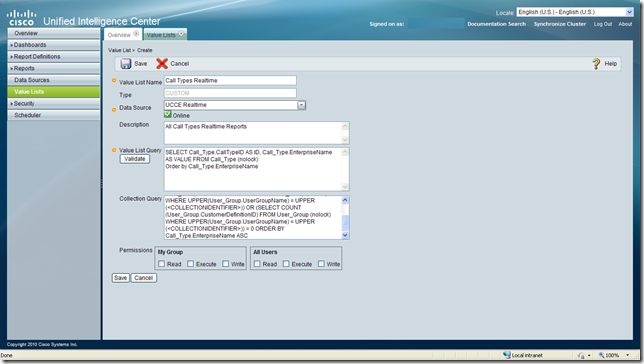 Hit Save, Populate Values, and confirm the values to ensure the collection has the call types you’re looking for. I had my first exposure to CUIC last week and was glad to finally see this product and get to play with it. For the most part it looks just like CUIS, except for the whole appliance model. The UI is a little more streamlined, but what I remember from CUIS, it’s all there. Now, one big change is that with CUIC, reports are cut down to a standard set (20 if I remember correctly) as opposed to the dozens of reports available through WebView. This created some initial confusion as you try to familiarize yourself with what kind of data the new reports have. Perhaps the best feature is the ability to remove columns from reports and just display the data you want to see. One report which comes up all the time is an agent real time report showing the agent’s current not ready reason code. I have an SQL query I use to get this data myself, but now that CUIC is supposed to make it easier to create your own reports, I wanted to give it a shot and create my very first custom report. First, let’s start with the SQL query which joins the real time agent states as well as reason code tables. Now, don’t judge me on a) the poor SQL writing skills or b) my affinity to spacing. It’s important to understand what the above query is doing to ensure you know where your reason codes are coming from. 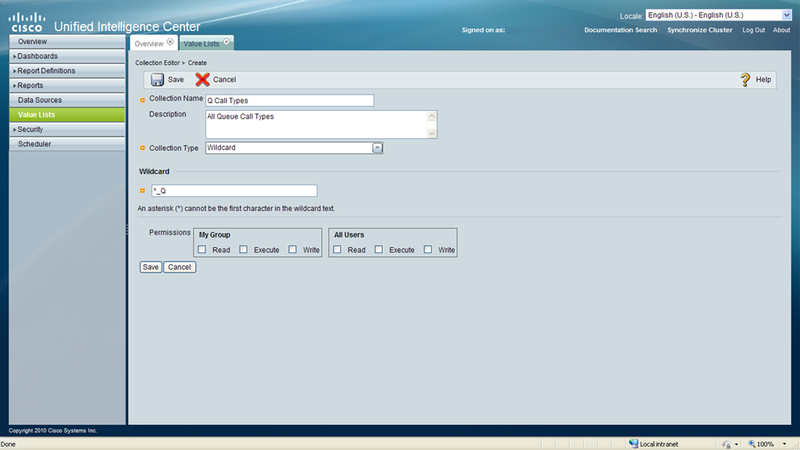 Second, you will need to create a new report definition based on the stock Agent Real Time report definition. 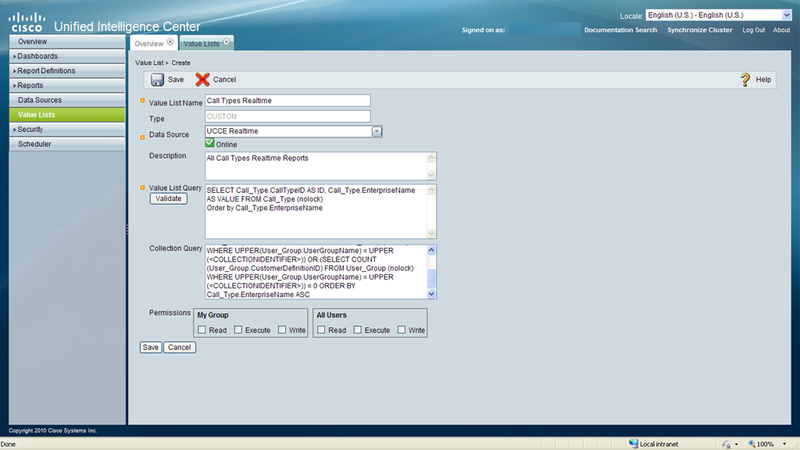 You will need to extract the SQL of the report query shown below. Third, modify the SQL query. Also, it helps a lot to actually arrange the above query and break it down section by section. Note line 46 and 104 where the join is made to retrieve the reason text. Also note that you need to duplicate these lines in the Union Select statement. Finally, create a new report definition, create a new report based off the definition, and test. This posts assumes that you know at least the very basics around CUIC. It doesn’t hurt to know some SQL, personally I know enough to be dangerous, but touch it so seldom that I’m no expert. Hope this helps others out there as this is a pretty common report and a lot of customer ask for it.